It’s that time of year when businesses should start developing year-end planning strategies. Unfortunately, year-end planning this year is proving to be more challenging than ever because, for the first time in over 30 years, we are facing the real possibility that Congress could pass major tax reform legislation - possibly by the end of this year. As we completed this letter, the House Ways and Means Committee had recently released (on November 2, 2017) the initial draft of its Tax Reform Bill which, if enacted, would make significant changes impacting corporate and non- corporate businesses. For example, if enacted, this proposed legislation would: Reduce tax rates for C corporations and for the individual owners of proprietorships, partnerships and S corporations; Allow an up-front write-off of business assets except for land and buildings; Either curtail or eliminate altogether certain targeted deductions and credits currently available to businesses; and, Limit the interest deduction for larger businesses. We have included in this letter a general overview of key provisions in this proposed legislation. Caution! The status of this legislation is fluid. It is not possible to predict with precision what changes will be included in any “final”tax bill, when it will be passed, or even whether final tax reform legislation will be passed at all. Moreover, many of the changes currently being discussed could be modified or even dropped altogether in the final legislation. Planning Alert! We are closely monitoring this proposed legislation. Feel free to call our firm for a status report. Notwithstanding the uncertainty of tax reform, this letter outlines certain traditional year-end tax planning strategies that we think businesses should consider. This letter also highlights new tax planning opportunities that may be available due to recent Court cases, new IRS regulations, and new IRS rulings. However, due to the uncertainty of tax reform, we believe the best approach is to delay the implementation of tax-savings strategies as long as possible - but be prepared to act quickly near the end of 2017! Caution! 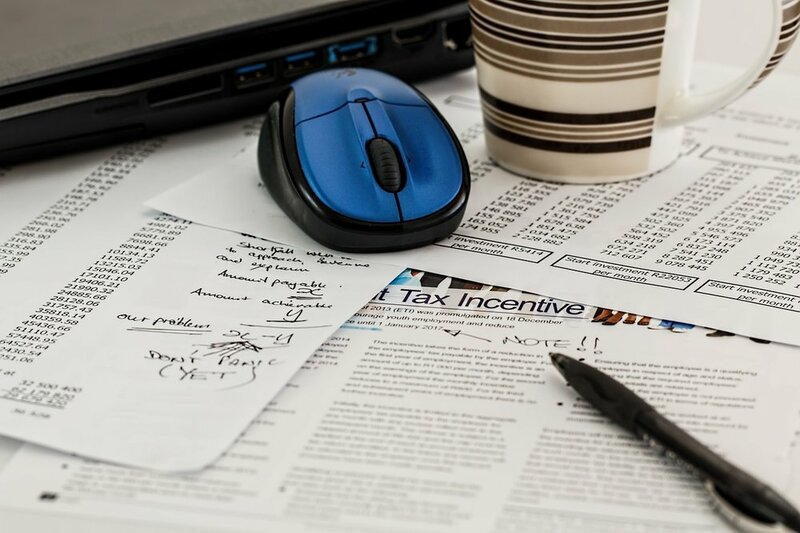 Although this letter contains many planning ideas, you cannot properly evaluate a particular planning strategy without calculating the overall tax liability for the business and its owners (including the alternative minimum tax) with and without the strategy. In addition, this letter contains ideas for Federal income tax planning only. State income tax issues are not addressed. However, you should consider the state income tax impact of a particular planning strategy. We recommend that you call our firm before implementing any tax planning technique discussed in this letter, or if you need more information. As discussed previously, on November 2, 2017, the House Ways and Means Committee released its initial proposed tax reform bill entitled “The Tax Cuts And Jobs Act of 2017”(the “Act”). We highlight below selected provisions in the Act that we believe, if enacted, could have a significant impact on Corporate and Non-Corporate Business taxpayers. Caution! Over the upcoming weeks, there will likely be changes to this proposed tax legislation as it works its way through Congress that would impact businesses that we do not discuss below. We closely monitor proposed tax legislation, so feel free to call our firm if you have questions about proposals not discussed below, you need more information on a specific proposal, or you simply need a status report. Unless stated otherwise, the proposals listed below generally would not be effective until 2018. Lower Tax Rates And Repeal Of AMT For Regular Corporations. The Act would lower the regular corporate income tax rate to a fixed rate of 20% (down from the current highest corporate rate of 35%). Personal service corporations would be subject to a flat rate of 25%. The corporate “Alternative Minimum Tax” (AMT) would be repealed. Lower Taxes On “Small Businesses”Taxed As Pass-Through Entities. The Act contains a provision designed to ensure that qualified business income passing through and reported on an individual owner’s tax return will not be taxed at a rate higher than 25% (otherwise this business income could be taxed as high as 39.6% under the proposed individual income tax rate schedules). The provision contains an anti-abuse rule that would make it difficult for most personal service businesses to obtain the benefit of the 25% cap. The personal-service businesses targeted by this anti-abuse rule, include businesses involved in the performance of services in the fields of: health, law, engineering, architecture, accounting, actuarial science, performing arts, consulting, athletics, financial services, brokerage services, and others. Enhanced First-Year 168(k) Bonus Depreciation. For qualifying property placed-in-service after September 27, 2017 (and before January 1, 2023), the Act would enhance the existing First-Year 168(k) Bonus Depreciation as follows: 1) Increase the immediate write-off percentage from the current 50% to 100%; 2) Increase the first-year depreciation cap generally imposed on passenger vehicles used primarily in business from the current $8,000 to $16,000; and 3) Allow the 100% 168(k) Bonus Depreciation to be taken on qualifying “used”business property (under current law, property must be “new”to qualify for the 168(k) Deduction). Property qualifying for the 168(k) Bonus Depreciation generally includes depreciable personal property (e.g., business equipment, computers, certain vehicles, etc), and qualifying improvements to commercial buildings. Please note that a more detailed discussion of business property qualifying for the 168(k) Bonus Depreciation deduction is provided later in this letter. Increase In The Caps On The 179 Deduction. For qualifying 179 Property placed-in-service in tax years beginning after 2017 and before 2023, the Act would generally enhance the existing 179 Deduction as follows: 1) Increase the annual deduction limitation to $5 million (it is currently $510,000 for 2017); and 2) Increase the phase-out threshold ($2,030,000 for 2017) to $20 million. Qualifying 179 Property generally includes business equipment, computers, certain vehicles, and qualifying improvements to certain commercial buildings. A more detailed discussion of business property qualifying for the 179 Deduction is provided later in this letter. Small Business Relief For Accounting Methods. The Act would streamline various accounting rules for certain small businesses. For example, businesses with average gross receipts during the preceding three years of $25 million or less generally would: 1) Be able to use the cash method of accounting even if the business has inventories; 2) Be exempt from the UNICAP rules; and 3) Be able to qualify for an exemption to the percentage-of-completion accounting method for qualifying long-term contracts. New Limitations On Like-Kind Exchanges. Effective for exchanges completed after 2017, the Act would allow §1031 like-kind exchanges only with respect to real property (i.e., property such as business aircraft and artwork held for investment would no longer qualify). However, the Act contains a transition rule allowing like-kind exchanges of personal property held in a trade or business or for investment to be completed if the taxpayer has either disposed of the relinquished property or acquired the replacement property on or before December 31, 2017. Caution! We have highlighted only selected tax changes contained in the Act that would impact businesses, there are many more! If you have heard about other proposed legislative tax changes not discussed above, and you need more information, please call our office. On September 29, 2017 President Trump signed the “Disaster Tax Relief and Airport and Airway Extension Act of 2017”(“Disaster Relief Act”) providing tax relief for victims of Hurricanes Harvey, Irma, and Maria. The IRS has also released a series of Announcements providing additional administrative relief for taxpayers impacted by the hurricanes. The relief generally applies to individuals and businesses located in Florida, Georgia, certain counties in Texas, certain counties in South Carolina, certain parishes in Louisiana, parts of Puerto Rico, and the Virgin Islands. In some situations, taxpayers not located in these disaster areas may qualify for relief (e.g., Where business records are located in the designated disaster areas or where taxpayers own an interest in an S corporation or partnership with primary business operations in the designated disaster areas). Tax relief under the Disaster Relief Act generally includes: Larger deductions for personal casualty losses; Expanded options to take tax-favored withdrawals or loans from retirement plans; Option of using current or prior year's income for purposes of claiming the earned income and child tax credits; Increased limitation on charitable contribution deductions for individuals and businesses making qualifying charitable contributions for hurricane disaster relief; and a maximum $2,400 credit for wages paid to employees while a business in a hurricane disaster zone is out of operation. Administrative relief granted by the IRS generally encourages leave-based donation programs for hurricane victims, and allows retirement plans to make hardship distributions. In addition, the IRS has provided automatic extensions for various IRS deadlines. For example, the IRS has extended until January 31, 2018 the deadlines for filing the following returns: Individual, corporate, and estate and trust income tax returns; partnership returns, S corporation returns; estate, gift, and generation skipping transfer tax returns; annual information returns of tax exempt organizations; employment and excise tax returns (including payroll tax returns due October 31, 2017), and 5500s that were otherwise due: 1) On or after August 23, 2017 for qualifying Texas taxpayers, 2) On or after August 27, 2017 for qualifying Louisiana taxpayers, 3) On or after September 4, 2017 for Florida taxpayers, 4) On or after September 6, 2017 for qualifying South Carolina taxpayers, and 5) On or after September 7, 2017 for Georgia taxpayers. This automatic extension generally applies to individual filers with extensions of time to file until October 16, 2017, and to business returns with extensions until September 15, 2017. A traditional year-end tax planning strategy for businesses includes reducing current year taxable income by deferring taxable income into later years and accelerating deductions into the current year. This strategy can save taxes where the income tax rate on the business’s income in the following year will be the same or greater than the current-year tax rates. This strategy may be even more effective for 2017 tax years if the current tax reform proposals become law and substantially reduce the tax rates on business income beginning in 2018, as advertised. A popular way for businesses to maximize current-year deductions is to take advantage of the First-Year 168(k) Bonus Depreciation Deduction, the 179 Deduction, and/or the De Minimis Safe Harbor Election, each of which is discussed below. For the past several years, one of the most popular tax-favored deductions has been the first-year 168(k) Bonus Depreciation deduction. Although the PATH Act extended the 168(k) Bonus Depreciation deduction, it did not make it permanent. Instead, the Path Act generally extended the 168(k) Bonus Depreciation for qualifying “new”business property as follows: 1) A 50% 168(k) Bonus Depreciation allowance for qualified property placed-in-service in 2015 through 2017; 2) A 40% 168(k) Bonus Depreciation allowance for qualified property placed-in-service in 2018; and 3) A 30% 168(k) Bonus Depreciation allowance for qualified property placed-in-service in 2019. The 168(k) Bonus Depreciation Deduction generally sunsets altogether for property placed-in-service after 2019. Planning Alert! The Path Act provides for a slightly longer extension of the 168(k) Bonus Depreciation for certain long-production-period property and qualifying noncommercial aircraft. New Depreciable Property With A Depreciable Life Of 20 Years Or Less. Property qualifying for the 168(k) Bonus Depreciation generally includes business property purchased new that has a depreciable life for tax purposes of 20 years or less (e.g., machinery and equipment, furniture and fixtures, sidewalks, roads, landscaping, computers, computer software, farm buildings, and qualified motor fuels facilities). New Business Vehicles. “New”vehicles used primarily in business generally qualify for the 168(k) Bonus Depreciation. However, there is a dollar cap imposed on business cars and trucks that have a loaded vehicle weight of 6,000 lbs or less. More specifically, vehicles placed-in-service in 2017 and used 100% for business are allowed maximum depreciation (including the Section 179 deduction as discussed below) of $3,160 ($3,560 for trucks and vans) for 2017. However, for 2017, these caps are increased by $8,000 (i.e., $11,160 and $11,560 for trucks and vans) for qualifying new vehicles. This $8,000 increase begins phasing out after 2017, as follows: 2018 - $6,400; 2019 - $4,800; -0- after 2019. New Qualified Improvement Property. For property placed-in-service after 2015, the PATH Act provides that the 168(k) Bonus Depreciation applies to “Qualified Improvement Property.”“Qualified Improvement Property”(QIP) is generally an improvement to the interior portion of an existing commercial building (provided the improvement is not attributable to an enlargement of the building, elevators or escalators, or the internal structural framework of the building). Planning Alert! Before the PATH Act, improvements to an existing commercial building did not qualify for the 168(k) Bonus Depreciation unless the building was subject to a lease between unrelated parties. Moreover, the building improvement did not qualify unless the improvement was placed-in-service more than three years after the building itself was placed-in-service. After 2015, an otherwise qualifying improvement to a commercial building is allowed whether or not the building is leased, and even if the building is leased to a related party. Also, the improvement only needs to be placed-in-service after the building was “first-placed-in- service”(i.e., there is no longer a 3-year requirement). Tax Tip! As previously noted, businesses have the full 50% 168(k) Bonus Depreciation through 2017 for qualifying property. Neither the 168(k) Bonus Depreciation (nor the 179 Deduction discussed below) requires any proration based on the length of time that an asset is in service during the tax year. Therefore, your business would get the benefit of the entire 50% 168(k) Bonus Depreciation for 2017 purchases, even if the qualifying property were placed-in-service as late as December 31, 2017! Caution! If the same property is placed-in-service in early 2018 (rather than the end of 2017), under current law it would only qualify for a “40%”(not 50%) 168(k) Bonus Depreciation. Proposed Tax Reform- Please keep in mind, the Ways and Means Committee’s proposed Tax Reform Bill would increase the 168(k) Depreciation Deduction for 2017 from 50% to 100% for property acquired and placed-in-service after September 27, 2017 and before 2023, and would generally allow the §168(k) Depreciation Deduction for used, as well as new, property. In addition, the tax rates on businesses are scheduled to be reduced for tax years beginning after 2017. Therefore, if this legislation passes, businesses with higher tax rates in 2017 than in 2018 could benefit even more from placing §168(k) property in service in a tax year beginning before 2018. Another popular and frequently-used business tax break is the up-front Section 179 deduction (“179 Deduction”). For 179 Property placed-in-service in tax years beginning after 2015, the PATH Act made several taxpayer-friendly enhancements to the 179 Deduction including: 1) Indexing the dollar caps for inflation (for 2017 the maximum deduction is $510,000 and the phase-out threshold begins at $2,030,000), and2)Removingthe$250,000179deductioncapfor“QualifiedRealProperty”(QRP)-however,theoverall caps (i.e., of $510,000 and $2,030,000 for 2017) do apply to QRP along with all other §179 property. Proposed Tax Reform- Please keep in mind, the Ways and Means Committee’s proposed Tax Reform Bill would increase the §179 Deduction limitation for property placed-in-service in tax years beginning after 2017 and before 2023 to $5,000,000 and would increase the phase-out threshold to $20,000,000. In addition, the Bill would allow the 179 deduction for certain “Qualified Energy Efficient Heating and Air- conditioning Property”acquired and placed-in-service after November 2, 2017. These proposed changes, along with the proposed reduction in the tax rates on businesses which, under the Bill, are proposed to be reduced for tax years beginning after 2017, would make year-end tax planning with §179 property acquisitions quite complicated, if this proposed legislation becomes law. New And Used Depreciable, Tangible Personal Property. Generally, “depreciable”property qualifies for the 179 Deduction if: 1) It is purchased new or used, 2) It is “tangible personal”property, and 3) It is used primarily in your business (e.g., machinery and equipment, furniture and fixtures, business computers, etc.). Caution! Property used in connection with lodging (other than hotels, motels, etc.) does not qualify for the 179 Deduction, but may (if new) qualify for the 168(k) Bonus Depreciation discussed previously. Tax Tip! Historically, heating and air conditioning units did not qualify for the 179 Deduction. However, after the PATH Act, such units now qualify for the 179 Deduction provided the units are not structural components of a building. Recent IRS guidance provides the following examples of air conditioning or heating units that would qualify for the 179 Deduction: portable air conditioners (such as window air conditioning units) and portable heaters (such as portable plug-in unit heaters). Caution! This same IRS guidance warns that the following air conditioning or heating units will generally not qualify for the 179 Deduction: any component of a central air conditioning or heating system of a building, including motors, compressors, pipes, and ducts, whether the component is in, on, or adjacent to a building. Planning Alert! The cost of these items could still qualify for the 179 Deduction if they are included in expenditures that meet the definition of “Qualified Real Property,”discussed in more detail below or they are not considered “structural components”of the building under case law. Business Software. The only “intangible”property that qualifies for the 179 Deduction is depreciable off- the-shelf business software. Business Vehicles. New or used business vehicles generally qualify for the 179 Deduction, provided the vehicle is used more-than-50% in your business. Planning Alert! As discussed previously in the 168(k) Bonus Depreciation segment, there is a dollar cap imposed on business cars and trucks that have a loaded vehicle weight of 6,000 lbs or less. More specifically, vehicles placed-in-service in 2017 and used 100% for business are allowed maximum depreciation of $3,160 (including the Section 179 Deduction and the 168(k) Bonus Depreciation). The cap for 2017 is $3,560 for trucks and vans. However, for 2017, as previously discussed these caps are increased by $8,000 (i.e., $11,160 and $11,560 for trucks and vans) for new vehicles that qualify for the 168(k) Bonus Depreciation. This $8,000 increase begins phasing out after 2017, as follows: 2018 - $6,400; 2019 - $4,800; -0- after 2019. So-Called “Heavy Vehicles” Exempt From Dollar Caps. Trucks and SUVs that weigh over 6,000 lbs are generally exempt from the annual depreciation caps discussed above. These new or used “heavy vehicles” if used more-than-50% in business, will also generally qualify for the 179 Deduction of up to $25,000. Moreover, if this heavy vehicle is “new”and used more-than-50% in business, it will likewise qualify for the 168(k) Bonus Depreciation without the $25,000 limit. Tax Tip! Pickup trucks with loaded vehicle weights over 6,000 lbs are exempt from the $25,000 limit to the 179 Deduction (imposed on SUVs) if the truck bed is at least six feet long. Example. Buying a heavy vehicle in 2017 for use in your business can generate a substantial deduction. For example, let’s assume that in 2017 you purchase and place-in-service a new “over-6,000 lb”SUV for $50,000 used entirely for business. For 2017, you could deduct: 1) Up to $25,000 as a 179 Deduction, 2) 50% of the remaining balance as first-year 168(k) Bonus Depreciation, and 3) 20% of the remaining cost as regular depreciation for the first year. Thus, for a $50,000 new heavy SUV placed-in-service in 2017, you could generally write off $40,000 in 2017 (assuming 100% business use and the half-year depreciation convention applies). Caution! If you take the 179 Deduction and/or the 168(k) Bonus Depreciation on your business vehicle (whether or not it weighs more than 6,000 lbs), and your business-use percentage later drops to 50% or below, you will generally be required to bring into income a portion of the deductions taken in previous years. • Qualified Real Property. “Qualified Real Property”is the only non-personal property that qualifies for the 179 Deduction. Qualified Real Property includes property within any of the following three categories: 1) “Qualified Leasehold Improvement Property”(generally improvements to the interior portion of non- residential buildings that are subject to a lease between unrelated parties, and that were placed-in-service more than 3 years after the commercial building itself was placed-in-service, if more than 50% of the building’s square footage is devoted to the preparation of, and seating for, the on-premises consumption of prepared meals). Planning Alert! Qualified Real Property (QRP) is subject to the overall 179 Cap of $510,000 (for 2017) and the overall phase-out threshold of $2,030,000 (for 2017). Caution! These caps apply to all 179 Property (including QRP) in the aggregate. Tax Tip. Neither the 179 Deduction nor the 168(k) Bonus Depreciation requires any proration based on the length of time that an asset is in service during the tax year. Therefore, your business would get the benefit of the entire 179 Deduction (as well as the 168(k) Bonus Depreciation Deduction, if applicable) for 2017 purchases, even if the qualifying property was placed-in-service as late as December 31, 2017! Make Sure Newly-Acquired Property Is “Placed-In-Service”By Year End. In order to take the 168(k) Bonus Depreciation Deduction and/or the 179 Deduction in 2017 (assuming a calendar-year taxpayer), any newly-acquired asset must actually be “Placed-In-Service”no later than December 31, 2017. Generally, if you are purchasing “personal property”(equipment, computer, vehicles, etc.) – “placed-in-service”means the property is ready and available for use. To be safe, qualifying property should be set up and tested on or before the last day of 2017. If you are dealing with building improvements (e.g., qualified leasehold improvement property; qualified improvement property; non-structural components of a building), a Certificate of Occupancy will generally constitute placing the building improvements in service. Cost Segregation Studies Can Maximize The 179 Deduction (And Also The 168(k) Bonus Depreciation Deduction). Depreciable components of a building that are properly classified as depreciable personal property under a cost segregation study are generally depreciated over 5 to 7 years. Assuming that you have not exceeded the various caps for the 179 Deduction, these properly segregated non-structural components should qualify for the 179 Deduction –whether new or used. In addition, if these non-structural components are “new”and have a depreciable life of 20 years or less, they should qualify for the 50% 168(k) Bonus Depreciation for 2017 – if the building is placed-in-service in 2017. Planning Alert! Obtaining a certificate of occupancy for building improvements by December 31, 2017 will generally constitute placing the building improvements in service by that date. As your business considers its year-end purchases of depreciable property, don’t overlook the opportunity for taxpayers to make an election that allows an immediate deduction of up to a certain dollar amount for purchases of individual items of tangible business property (including materials and supplies). For taxpayers that have “Applicable Financial Statements”(i.e., financial statement filed with the SEC, certified audited financial statement, or financial statement required to be provided to the Federal or a State government – other than a tax return) the dollar cap is $5,000 per each individual item. For taxpayers without “Applicable Financial Statements”(most small and mid-size businesses), the dollar cap is $2,500 for each item. De Minimis Safe Harbor Election. A taxpayer must make an “election”to take advantage of this “De Minimis Safe Harbor.”The election is made annually (by attaching a statement to a timely filed— including extensions— original Federal income tax return). To qualify for the safe harbor, the taxpayer generally must have an accounting procedure (as of the beginning of the year) to expense the cost of assets costing less than a specified amount (e.g., $2,500 or less) for “nontax”purposes as well as for tax purposes. If the taxpayerhasan“applicablefinancialstatement,”theaccountingproceduremustbeinwriting.Fortaxpayers that do not have an “applicable financial statement”(again most small and mid-size businesses), the “beginning-of-the-year”accounting procedure referred to above does not have to be in writing. However, having a written procedure may better document your “expensing procedure”in case of an IRS audit. Year-End Planning For Personal Service Corporations. If you own a “C”corporation that is a personal service corporation (PSC), all income retained in that corporation is taxed at a flat rate of 35%. Your C corporation is a PSC if its business is primarily in the areas of health, law, accounting, engineering, actuarial sciences, performing arts, or consulting. Furthermore, in order to be classified as a PSC, substantially all of your corporation’s stock must be held by employees who are performing those services. Tax Tip. Generally, it is preferable from a tax standpoint to leave as little taxable income in a PSC as possible. This may be accomplished by paying reasonable salaries and compensation to the stockholder/employees by year-end. S Corporation Shareholders Should Check Stock And Debt Basis Before Year-End. If you own S corporation stock and you think your S corporation will have a tax loss this year, you should contact us as soon as possible. These losses will not be deductible on your personal return unless and until you have adequate “basis”in your S corporation. Any pass-through loss that exceeds your “basis”in the S corporation will carry over to succeeding years. You have basis to the extent of the amounts paid for your stock (adjusted for net pass-through income, losses, and distributions), plus any amounts you have personally loaned to your S corporation. Planning Alert! If an S corporation anticipates financing losses through borrowing from an outside lender, the best way to ensure the shareholder gets debt basis is to: 1) Have the shareholder personally borrow the funds from the outside lender, and 2) Then have the shareholder formally (with proper and timely documentation) loan the borrowed funds to the S corporation. It also may be possible to restructure (with timely and proper documentation) an existing outside loan directly to an S corporation in a way that will give the shareholder debt basis, however, the loan must be restructured before the S corporation’s year ends. Caution! A shareholder cannot get debt basis by merely guaranteeing a third-party loan to the S corporation. Please do not attempt to restructure your loans without contacting us first. Strategies For Business Owners To Avoid The 3.8% Net Investment Income Tax. A 3.8% tax is imposed on the net investment income (3.8% NIIT) of higher-income taxpayers. With limited exceptions, “net investment income”generally includes the following types of income (less applicable expenses): interest, dividends,annuities,royalties,rents,“passive”income(asdefinedunderthetraditional“passiveactivity”loss rules), long-term and short-term capital gains, and income from the business of trading in financial securities and commodities. Planning Alert! Income is not “net investment income”(and is therefore exempt from this new 3.8% NIIT), if the income is “self-employment income”subject to the 2.9% Medicare tax. The 3.8% NIIT only applies to individuals with modified adjusted gross income (MAGI) exceeding the following “thresholds”: $250,000 if married filing jointly; $200,000 if single; and $125,000 if married filing separately. Passive Owners Should Consider Taking Steps To Avoid The 3.8% Net Investment Income Tax (3.8% NIIT). For purposes of this 3.8% NIIT, net investment income includes operating business income that is taxed to a “passive”owner (unless the operating income constitutes self-employment income to the owner that is subject to the 2.9% Medicare tax). For this purpose, an owner is considered “passive” in a business activity if the owner is “passive”under the passive loss limitation rules that have been around for years. For example, you are deemed to materially participate (i.e., you’re not “passive”) if you spend more than 500 hours during the year working in the business. Observation. Traditionally, business owners have focused on the passive activity rules largely in the context of avoiding the rigid passive “loss”restrictions. Now that passive “income”can be subject to the 3.8% NIIT, business owners are seeking ways to avoid passive “income”classification. Establishing A New Retirement Plan For 2017. Calendar-year taxpayers wishing to establish a qualified retirement plan for 2017 (e.g. profit-sharing, 401(k), or defined benefit plan) generally must adopt the plan no later than December 31, 2017. However, a SEP may be established by the due date of the tax return (including extensions), but a SIMPLE plan must have been established no later than October 1, 2017. Planning For C Corporation Estimated Taxes. If your C corporation had less than $1 million of taxable income for each of the past three tax years, it qualifies for the “small corporation safe harbor”for estimated taxes, which allows it to base its current year quarterly estimated tax payments on 100% of its “prior”year tax liability. If your corporation does not qualify for this safe harbor (i.e., it had $1 million or more of taxable income in any of the prior three tax years), it must generally base its quarterly estimated tax payment (after the first installment) on 100% of its “current”year tax liability, or 100% of its annualized tax liability. Planning Alert! Even if your corporation otherwise qualifies for the small corporation safe harbor, but it had no income tax liability in the prior tax year (e.g., it incurred a tax loss for the prior year or was not in existence last year), it must pay 100% of the “current”year tax or 100% of the annualized tax to avoid an estimated tax underpayment penalty. Tax Tip. If your corporation currently qualifies for the “small corporation safe harbor” and anticipates showing a small tax loss in 2017, you may want to accelerate income (or defer expenses) in order to generate a small income tax liability in 2017. This will preserve the corporation’s ability to use the “100%oflastyear’stax”safeharborfor2018estimates.Caution!Thistechniquemaynotbeadvisableifyour corporation anticipates a 2017 net operating loss that can be carried back to previous years that would generate a sizeable refund. Planning Alert! If your corporation expects taxable income of more than $1 million for the first time in 2017, consider deferring income into 2018 or accelerating deductions into 2017 to ensure the corporation’s 2017 taxable income does not exceed $1 million, so that it retains the small business safe harbor for 2018.